Title : [ Celestial chart ]. Map maker : ORTELIUS, A. / VRIENTS. Size : 3.1 x 4.7 inches. / 7.9 x 12.0 cm. 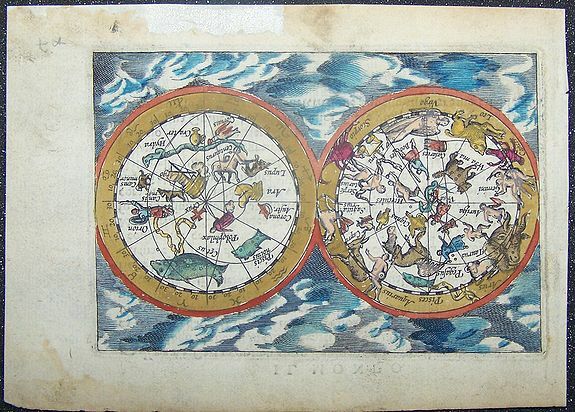 Description :Charming miniature celestial map with double hemispheres set in a cloud background. The map was apparently based on an earlier map by Plancius. Warner p. 277 (Anon. X).